From a young age, as I translated words and sentences from English into Spanish, I can remember strangers casting sideways glances and looks of shame – embarrassed for my parents that they had to use their child as a translator. But neither language barriers nor cultural differences stopped my parents from pursuing their dreams and providing the best opportunities for me and my siblings. With only a high school education, my parents came to the United States 19 years ago in search of a better future for me and my sisters. They’ve worked tirelessly in hard, intense labor jobs and taught me the value of each dollar, and, most importantly, the value of family and love. When we first arrived in the United States, I was only two years old. We lived in a two-bedroom trailer with three other families until we got on our feet. Every day, my mom would walk my older sister and I to school. Despite their hardships with English, they always put our education first. Through their dedication and hardwork, my older sister pursued an Associate’s degree and is now a successful Medical Assistant. While she initially intended to pursue a nursing degree, her immigration status impeded that dream. My senior year of high school, I enrolled in the DACA program. Now, I will be able to pursue my dream of becoming a radiologic technologist. I know that because I am not a citizen, I must work twice as hard to prove that undocumented people are better than we are perceived to be. I want my younger sister to be proud of her heritage and her family and to know that she has an incredible opportunity, as a citizen, to further her education and to make a positive contribution to our community. My sisters and my parents have always been my best support system. To attend the radiology technician program, I had to move three hours away from home. It’s been hard being so far from them, especially since my parents cannot visit often, due to their status. But, even with miles between us, they’ve continued to be my best support system. They are my motivation to continue to fight for my dreams, no matter the obstacle. I want to have a career where I will be able to provide them with a comfortable life. DACA made this radiologic technology program a reality, and I hope to continue my education and become a Physician’s Assistant. 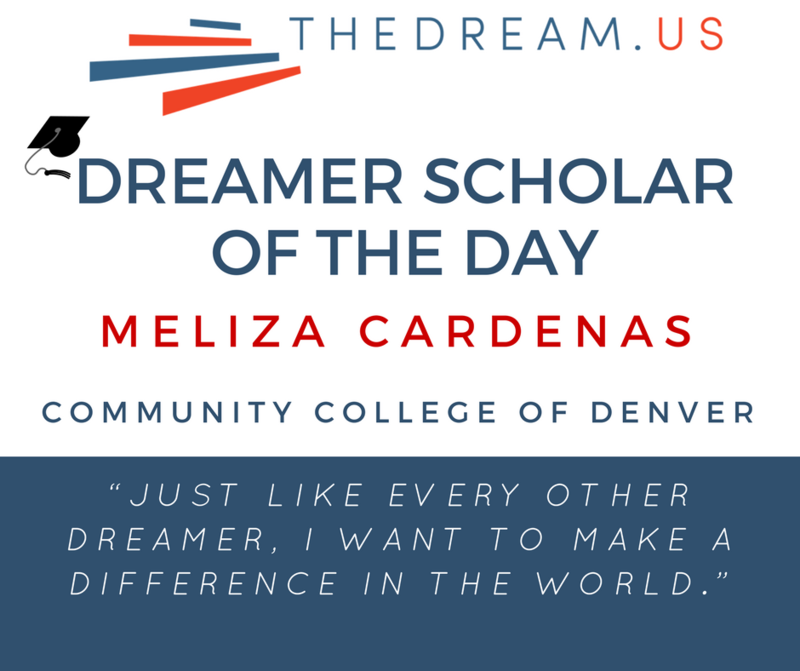 Just like every other Dreamer, I want to make a difference in the world. We, the 800,000 DREAMers, are good people who want to make a positive contribution to the world, but we are limited by our immigration status. Our status should not dictate where we have the ability to make a positive impact in the world.